How to avoid accidental trespassing while exploring rural US? I am planning a road trip through some rural locations in Tennessee and North Carolina, US. The intention is to visit some places of particular interest (e.g. filming locations of certain movies). Some of the places are known to be private land/residencies which I am only planning to see/photograph from the public roads. Other places, such as nearby woods or unnamed roads like this one, are what I am less sure about whether they might be publicly accessible. Unless there are fences, closed gates and/or other clear signs that a road is private, how do I tell if I can drive on a road like the one referred above? If I see woods without any fences or other indication of them being private property, is it generally acceptable to enter them? If you're not on a road, you're probably on private property unless otherwise indicated. National or state parks would be the primary exception to that. Granted, there are many of those in Tennessee and North Carolina. If there's a specific property you want to visit and you know it is private, you really should seek permission from the owner first, unless the owners have indicated that their property is open to the public. The lack of a fence or "No Trespassing" sign does not mean that the property isn't private or that its owners welcome the public to wander around their property. When you're on the road, public roads will usually have street signs. Roads with no signs at all are more likely driveways which are privately owned. A mailbox and/or sign indicating a street address beside the road is a good indicator that it's actually a private driveway and not a public road. Regarding the particular Google Maps link in the question, unfortunately, there's no Street View there, so it's not easy to tell if there are any signs there. When you're looking up properties online, fortunately, GIS is a thing. It turns out that some (all?) U.S. states have public GIS systems with data from the county property ownership records. North Carolina and Tennessee are not exceptions to this. Unfortunately, I don't immediately see a way to provide a link with a particular place focused in the North Carolina system's interactive map. However, I was able to find the particular property you linked and it is indeed a single private property. The area outlined in teal below is the property on which the road you pinned lies, so it is indeed just a private driveway, as it appeared. The actual road you pinned is not shown on the map below, as it's not a public road, but you can see the intersection of the public roads by which it lies. Tennessee has a similar system. I trespass for a living (I'm a geologist) in Georgia mostly, but have in pretty much all of the Eastern U.S. So, when planning field work the first thing I do is get on the internet and search for county tax assessor's maps. The online maps will show who owns the parcels; state, county, federal, or private. If they are private then I'll do a white pages search on the land owners name and contact them and ask for permission. And I'm forthcoming and state what my purpose is. The success rate is enormously high. Over 99%. Often people will be happy to show me around, or can recommend the best access trails. On the other hand there can be absentee land owners, or the land is owned by a corporation (often a timber company). And often, the land has been leased to a hunting club. The last solution is to show up and knock on the door and ask for permission. All that being said, I've had guns pulled on me twice, also told to get out because they thought I was after their gold. And have been told "no" with no reason given. You don't want to encounter someone doing something illicit. So, asking for permission creates an opportunity for a criminal to say "no" for your own safety. Utility easements also provide access paths. 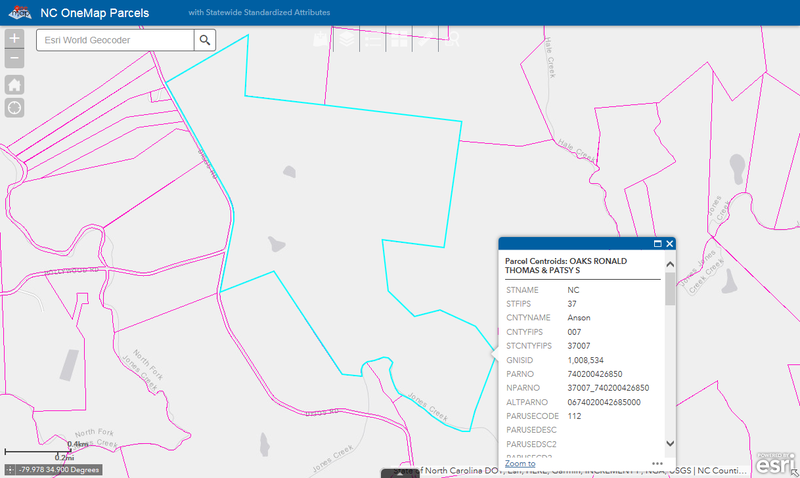 Have a look at topo quads or aerial photos and look for straight broad cuts through the woods that represent power line and gas line corridors. You should be able to park where they cross the road and walk in. And when you do encounter someone, be forthcoming why you are there. And don't park your car and block access to a gate or road, no matter how decrepit it looks. Murphy's law says that as soon as you are out of sight someone will need access. The one other hazard would be dog packs. People have been killed by dog packs when approaching homes. So, if you need to knock on doors, use your eyes and ears before getting out of the car. I hope haven't made it sound too daunting. It's about expectations. The same land owner can be welcoming or furious depending if their expectations are being met or not. So the goal is to not unexpectedly present yourself on their land. Unlike some European countries where one is expected to hike through what look like fenced private property, the U.S. is generally more like New Zealand: private property is usually marked, often quite clearly. "No Trespassing" signs are quite common in U.S. rural areas, and often redundant. Fences almost always indicate to humans Do Not Pass because this is private property. In the relatively few places where public land is fenced but is open to the public, there will either be clear signs (like at Cascade Head on Oregon's coast where the signs say the same thing as the the webpage) or local inquiries will reveal the status about the property. In a building owned by someone else. Where there is a notice posted informing intruders not to enter the property. The answer to your question, therefore, is that you can avoid accidental trespassing by avoiding posted property, by not entering any buildings without permission, and by paying attention to anyone who asks you to leave unposted property. 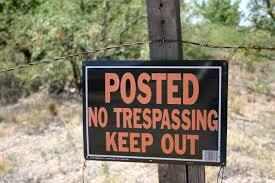 you must reasonably search some length of every fenceline for "No Trespassing" signs, e.g. Every 500 feet. You don't need to search a length of fenceline if you are at an obvious human-travel threshold, such as a gate, obvious roadlike path, etc. Beware also signs which have been vandalized or missing - you'd be technically in the right but you'll still be dealing with a rather angry homeowner who believes you ignored an obvious, intact sign. if the property is not signed, and you are asked to leave, you must expediently do so in a manner the owner consents to (if not unreasonable). 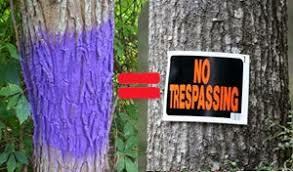 It's always trespassing, signage or not, if the installation is one the government favors with such protection, e.g. Army basespower plants, and railroads (photographers, don't even think about it): including adjacent land that may be outside the secured area or obvious usage. And you may not find this in state law: it may be Federal. it is always trespassing inside a building-like thing - urbexers! Lastly note that rural folks tend to have guns (not least for wild animals like mountain lion), and encounters aren't clean and simple. As deolater says in comments, the mood is tense, they may not know the law or rules of engagement very well, they may not care, they may fear you even if you don't think of yourself as fearful. Notably, racism and xenophobia are poltically whipped to a frenzy in rural areas. All this adds to the "fog-of-war" which naturally exists in an encounter amongst even those with the purest intents. US law leans toward favoring a defending property owner due to reasonable doubt, mens rea and sometimes stand your ground. The upshot is you can't expect courtesies or demand rights - it's vital you put your host at ease from the outset. Also, you are at risk of the plainest of accidents, because hunting is a big thing all year, not even for sport but control. (Take wild boar. Please.) Best to wear clothing that clearly distinguishes you from game. When in Rome... I advise talking to a local Cabela's or Bass Pro Shops, as they are not only major outdoor outfitters but also gun retailers. They should have a well-informed perspective on local risks and conditions, with valuable nuggets like "it's bowhunting season for deer right now" and how local law treats hunters vs. regular "rural explorers". 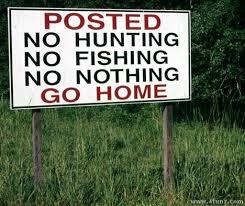 Some states have different (more permissive) rules for hunters. Also see Jim Ganley's advice about talking with the sheriff. Meth labs are a big thing, as is growing pot - and while a very few states have legalized pot, old habits die hard: many growers have been growing illegally for years and haven't bothered miring through the extensive paperwork and certifications to get legal. And they're still illegal at the Federal level. If you have a hand-held GPS unit, you can get property boundaries on a card that slots into the GPS. They're marketed for hunters, but they're great for anyone who will be travelling through back country. 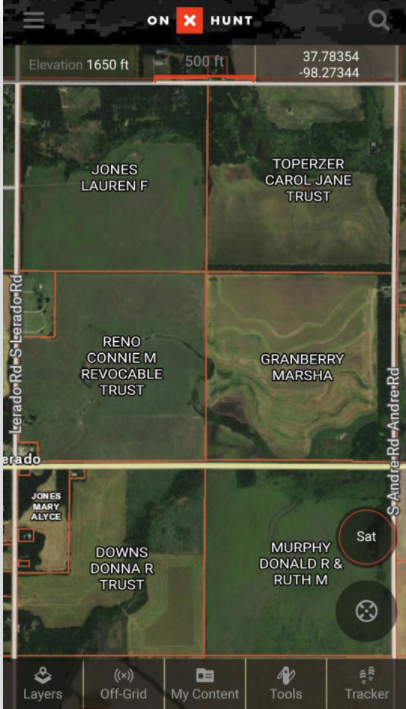 This allows you to see property ownership near your current location. These chips are sold by the state, or you can get the same info on a smart phone app. Very inexpensive GPS units don't have a card slot, so make sure yours is compatible before you buy. onXmaps FTW! 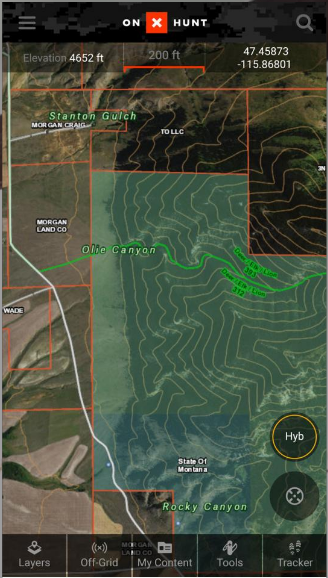 It shows public and private landowner information so you can avoid trespassing. The app can be used offline by downloading the maps onto your device. This means you DO NOT need cell service once the maps are downloaded to your phone. 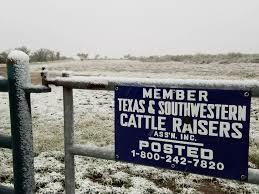 There is a slight quirk in the law and I am not one to test it, all no trespassing signs must be signed with the owners name and address the picture of the posted sign does not have a signature or address also most states require signs to be posted at specific intervals. Folks just be safe ask before you enter. 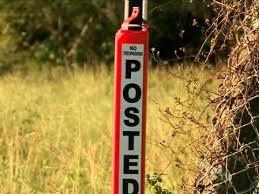 If you see a sign with the word "Posted"
you are in serious danger of being shot. if you go on the land in question. But just - overwhelmingly and in general - in the US you never walk on to land with a "Posted" sign. "All that being said, I've had guns pulled on me twice"
Not the answer you're looking for? Browse other questions tagged usa road-trips rural or ask your own question. Exploring Steam Paddler wrecks in the Missisippi river? How to locate a bucolic camp site when on the road in the EU? How can I enter the US while visiting Canada? How much country-side can I see by train [Prague-Kutna Hora]? How can I avoid mountain driving between Thunder Bay, Ontario and Moab, Utah? How do I find flights that avoid US airspace?